Many women are now choosing to wait until they are 35 or 40 to start a family. While this may be the best time for a woman to conceive, it is not the best time for the female body to conceive. Egg quality and number reduce with age – so women are more fertile and tend to produce healthier offspring earlier in life as opposed to later in life. While there are many women who conceive naturally well into their 40s, there are even more women who report having trouble conceiving and the risk of miscarriage is higher at this time, so egg freezing is a good option if you plan on waiting. The process of freezing eggs is complicated and technical, but here is the rundown of what you can expect in layman’s terms. Extraction – You take medications to increase the number of eggs you release. The doctors extract multiple eggs using a needle and ultrasound. Identification – All eggs are looked at closely under a microscope and the best eggs are chosen for freezing. Preparation – Recent advanced in cryogenic technology allows the lab to remove water from the egg that once caused water crystals. The water crystals, which appeared when the egg was frozen, caused the egg to form a thick skin that made it hard for the sperm to penetrate. Now, the lab removes the excess water before the eggs are frozen to reduce the risk of water crystals. After the preparation is complete, the eggs are placed in test tubes and lowered into liquid nitrogen where they can stay for decades. When it comes time to use the eggs, they are thawed and rehydrated. 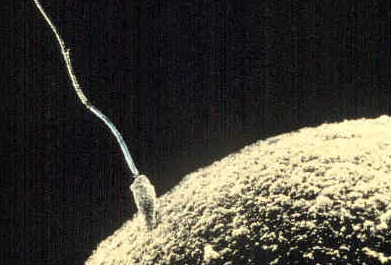 Sperm is injected into the eggs – one sperm for one egg - and when embryos start growing, those embryos are moved to the uterus in hopes of implantation. Freezing eggs is a viable option for many women, including women with cancer or risk of early menopause. Once the egg is frozen, any healthy woman can carry the fertilized egg to maturation essentially removing limits of motherhood once thought impossible to beat. Previous: Do Pregnancy Stretch Marks Disappear? Next: What Does it Mean to Sleep Like a Baby?